The Coen Brothers’ Hail, Caesar! exists in some zany cinematic purgatory of indecisiveness. Their critique of 1950s Hollywood dwells in an occasionally bemusing middle ground; that is, it can’t decide whether it wants to be a skewering of or a love letter to the golden era of tinsel town. Those who’ve found solace in the bewilderingly esoteric arms of A Serious Man or the bombast of The Hudsucker Proxy will likely concede Hail, Caesar! as a new coming for the seriocomic duo but I like my Coen’s like I like my coffee and Hail, Caesar!’s semi-satirical goofball makeup couldn’t be further from the blackest of comedy that defines the brothers’ greatest ventures. Like the marquees of cinema past, Hail, Caesar! throws around its star-studded cast like a sumo wrestler bandying with his jock strap. Josh Brolin! George Clooney! Ralph Fiennes! Scarlett Johnasson! Frances McDormand! Tilda Swinton! Channing Tatum! Jonah Hill! (The later of which has one line that he repeats about three times and yet still gets fifth billing.) Just like Ralph Fiennes’ perfumed director Lawrence Laurentz must grapple with the fact that his dramatic prestige is bombarded by signboard superstar Hobie Doyle (Alden Ehrenreich) for the mere fact that big names draw bigger patronage, Hail, Caesar! is unironically overstuffed with loaded names to wrangle loaded theaters. Most characters feel more like impressions, or shades even, than actual characters and this is in large part due to the fact that the Coen Brothers dedicate a significant portion of their film to hat-tipping to the performers, personalities and pictures of periods past. Johansson’s DeeAnna Moran is their curveball to the Marilyn Monroe types, sold as squeaky clean porcelain doll that barks, bites, smokes and screws when the camera stops rolling. Swinton’s twin Thora and Thessaly Thacker take overt aim at Hedda Hopper (alteration and all) while Tatum does a mighty toe-tapping Gene Kelly. 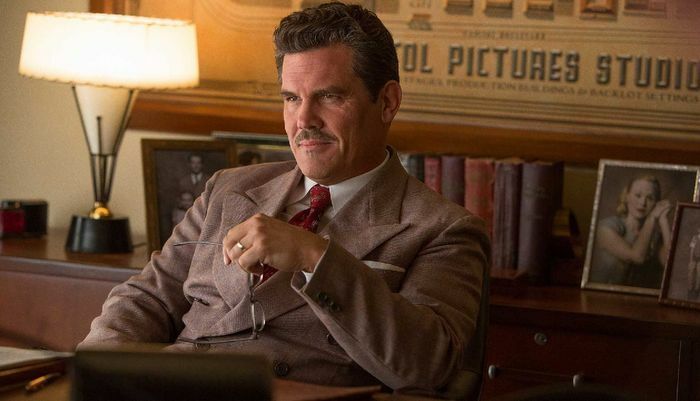 I’d be lying if I claimed to be familiar enough with the time period to have any further acumen into which historical figures inspired which characters but there’s a constant sense of parody at play, from Clooney’s clueless superstar Baird Whitlock to Brolin’s commanding Eddie Mannix. At the screening, the audience seemed divided: there were those gut-busting at these many obvious (and obviously dated) references and those who sat silent. The later was me. No doubt, my own lacking familiarity with 50s Hollywood was a barrier for entry and at least a sizable contributor to my overall unmoved intake of the film but let that serve as a warning to all: those unversed with the ins and outs of the entertainment industry circa six decades ago will likely find the experience similarly cold. The screwball plot is simple to the point of looking feeble. On the eve of wrapping production, the star (Clooney) of Capital Picture’s tent-pole film “Hail, Caesar! A Tale of the Christ” is kidnapped by a shadowy organization with political aims. Congruently, Capital fixer Eddie Mannix (Brolin) must scurry around town righting various ships. From focus grouping religious content to micro-managing the personal lives of Capital’s stars to controlling the whispers of gossip columnists, Mannix is a man with a mission or twenty. Manic must also content with a spiritual and career crisis when pursued by the aviation industry who promise him an easier life with more financial security. Religious ponderance has never been far from the heart of any Coen Brothers film but here, it seems more lightweight and facetiously trendy than essential to their plotting. The kidnapping business is relegated to a minuscule quantum of the overall run time as Hail, Caesar! becomes increasingly distracted by its fundamentally tangential nature. Much time is dedicated to witnessing other films in progress over on Capital’s buzzing lot. There’s DeeAnna Moran’s aquatic mermaid pageant, Laurentz’s stuffy drama ‘Merrily, We Dance’, Doyle’s sing-a-long Western ’Lazy Ol’ Moon’ and, naturally, the central biblical epic ‘Hail, Ceasar!’. We’re witness to screening rooms running unfinished cuts with placeholders like “Moment of Enlightenment Here”. We pop into the editing room where a chain smoking Frances McDormand hastily assembles clips. We’re backstage as Laurentz coaches Doyle through a small mouthful of script. Though a “dull moment” may not often materialize, the busy nature of Hail, Caesar! looks distractingly ADHD, almost to the point where the film seems like a whackadoo variety show. Worse yet, there’s little momentum to this alleged satire of the golden age of filmmaking, there’s little congruency of narrative and there’s even less holisticness to the events once they’ve all been assembled. Rather everything seems slapdash and artificial – all cream and no pastry. The girth of celebrity cameos comes off as hedged in rather than organic and functions as little more than “movie stars of today playing fictitious movie stars of the past”. The hootenanny is occasional wildly amusing – particularly when the all-singing, all-dancing Channing Tatum is involved – but its all proffered on a house of cards that tumbles tactlessly as it builds upon itself. CONCLUSION: The Coen Brothers have crafted a film similar in tone to the wandering entropy of A Serious Man, Hudsucker Proxy and Barton Fink with their latest “comedic” endeavor, a Hollywood satire with a few chuckle but a dearth of real laughs. 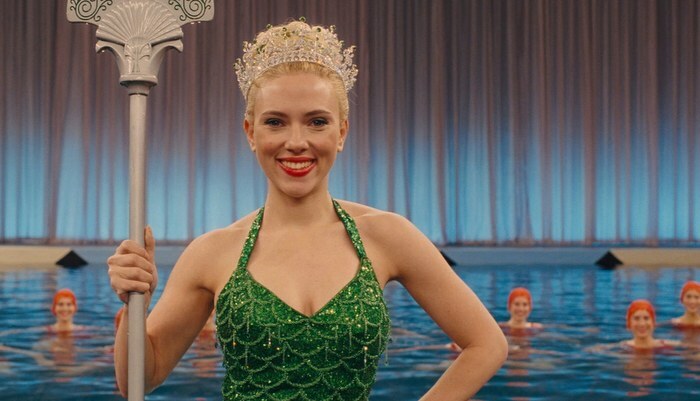 Like a bite from a toothless vampire, ‘Hail, Caesar!’ leaves almost no impression and makes up one of the brotherly director’s least engaging efforts to date. This entry was posted in Out in Theaters and tagged Alden Ehrenreich, Caesar!, Channing Tatum, Coen Brothers, Frances McDormand, George Clooney, Hail, Jonah Hill, Josh Brolin, Out in Theaters, Ralph Fiennes, Reviews, Scarlett Johnasson, Tilda Swinton. Bookmark the permalink.